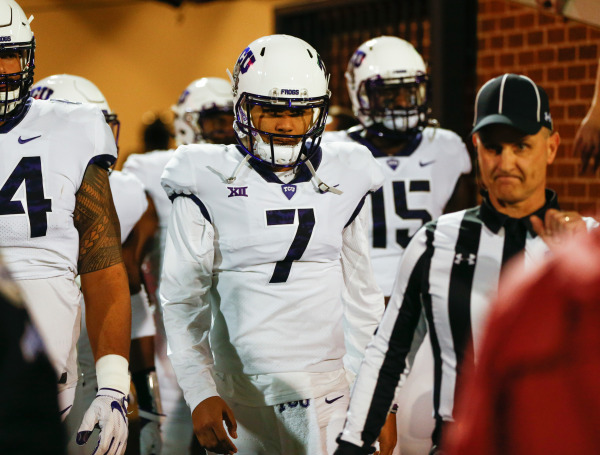 A former TCU football player has had the dream of playing at the professional level since he was 10 years old, and he will have the chance to showcase his abilities to NFL scouts next weekend. 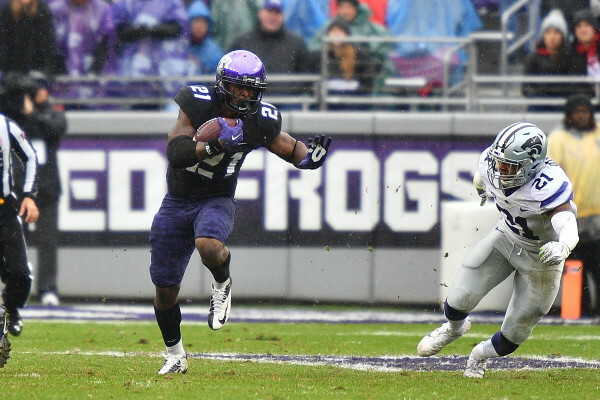 Some Twitter users may know him as @HE_GOING_PRO but to the Horned Frog community he’s known as Jaelan Austin. The wide receiver said he plans to change his Twitter handle if he’s blessed with the opportunity to play in the big leagues. Austin, a Grand Prairie native, finished his four-year career at TCU with seven receiving touchdowns and 860 receiving yards on 65 receptions. The wide receiver even played a few games on defense during his freshman and sophomore seasons and recorded three solo tackles. The 2018 Tropical Bowl offensive MVP credited a lot of his success at TCU to his family. TCU was the first university that offered him an athletic scholarship. Although more offers followed, the decision to play close to home couldn’t compete with anything else. “I’m a momma’s boy so of course I wanted to play in front of my mom,” Austin said. Jaelan Austin with his older brother, his mother, and Chris Washburn (far left). Photo courtesy of Jaelan Austin. He also said his decision to play at TCU was influenced because he grew up with former TCU basketball player, Chris Washburn. Washburn was best friends with Austin’s older brother growing up so he would spend a lot of time watching his games. The NFL named Austin as one of the 18 most freakish athletes of 2018, ranking at No. 15. He said he got the desire to work out as a middle schooler when he would see his dad, who is a trainer, lift weights. By the time he was in the eighth grade, his dad got him started. This preparation helped him set weight-lifting records at TCU with a 780-pound squat, a 450-pound bench and a 420-pound clean lift for the Night of Champions title. Austin has been training at APEC in Fort Worth for the past few months in preparation for TCU’s Pro Day on March 29. He said he’s been speed training and doing explosive drills so that he’s ready to perform the 40-yard dash, the vertical and broad jump, amongst other drills. Austin said if he doesn’t go to the NFL, he has plans set to start graduate school at TCU. Carolina is a journalism major with a minor in Spanish. She grew up in Houston, Texas so it's safe to say you can hear her cheering on Houston sports team, EXCEPT the Texans. She throws up the X for the Dallas Cowboys. She can't start her day without coffee and when she's not reporting you can find her working out or spending time with friends.